IKIGAI Maker Kate Sheehan on Embracing Imperfection. - Oddments Journal. IKIGAI Maker Kate Sheehan on Embracing Imperfection. Perfection — elusive because it doesn’t, in fact, exist — has long been the subject of ardent conjecture. The best take, though, is that perfection lies in imperfection. Beauty is unique, and strangeness is intriguing, and IKIGAI, a creator and purveyor of lovely things, is the embodiment of exactly that notion. Image: Courtesy of IKIGAI/Kate Sheehan, All Rights Reserved. via @ikigai_home / instagram. 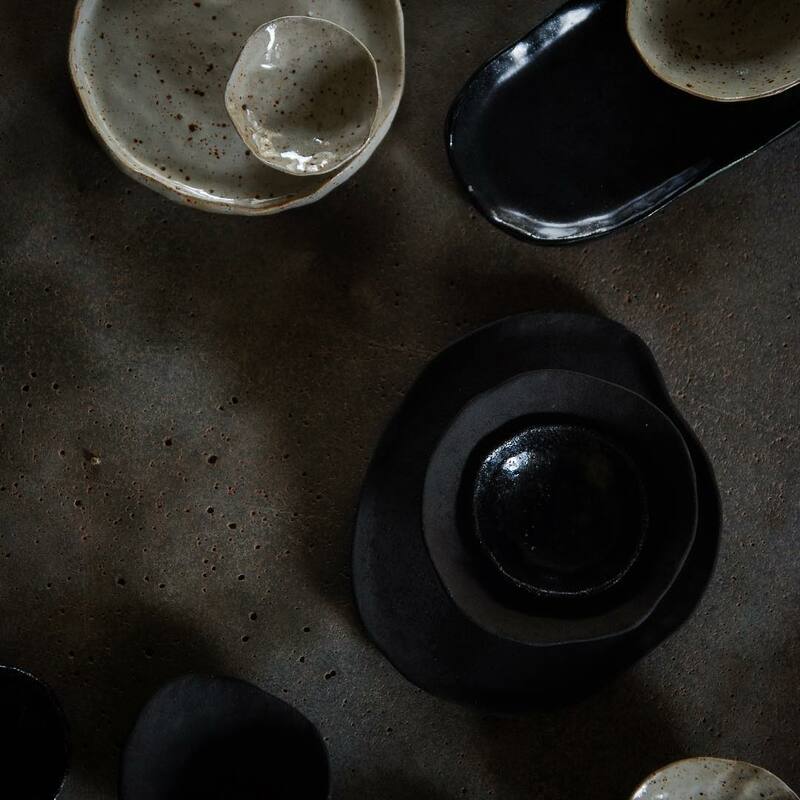 IKIGAI maker Kate Sheehan designs and creates her carefully crafted collections in a small, leafy studio based out of Geelong, Australia. All of the pieces are made by hand from locally sourced materials, employing traditional techniques. 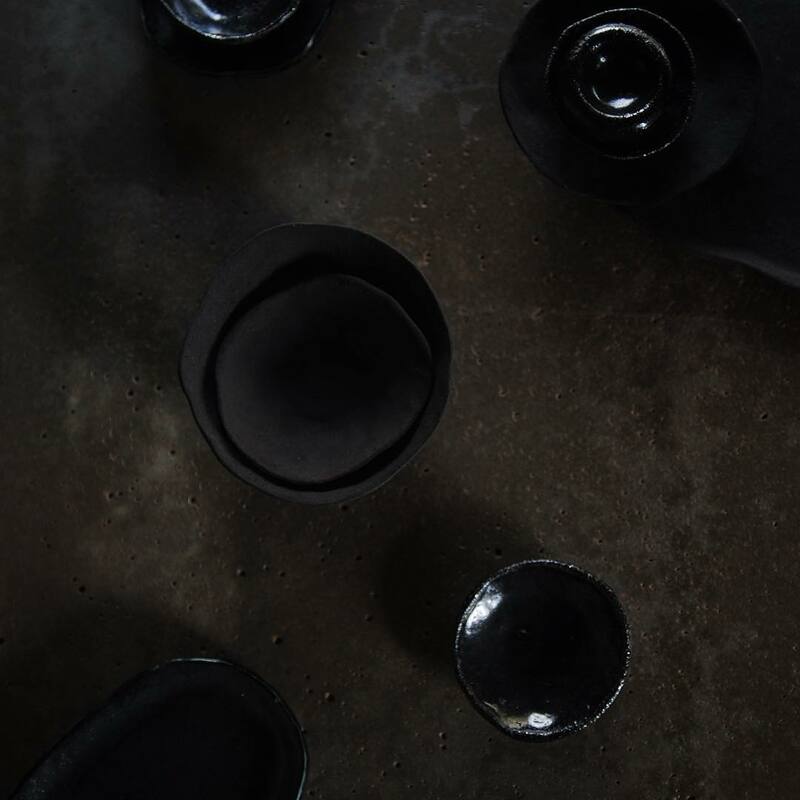 IKIGAI embraces imperfections, not only in form but in the finish as well, with the studio's clay bodies and glazes meant to highlight the simplicity of the pieces, and their natural form and durability. 'Winter'. Image: Courtesy of IKIGAI/Kate Sheehan, All Rights Reserved. via @ikigai_home / instagram. Tell us a little bit about IKIGAI and how it all came to be. Kate Sheehan: IKIGAI was actually born when I was living and working in Tokyo with my husband, Tim. I was inspired by everything, every day in Japan. I remember sitting on the bed in our tiny flat with a sketchbook on my lap, and I couldn’t get my ideas down fast enough. I thought about it constantly from that point. Probably two or so years later, my lovely and supportive cousin (The Wild Social) gave me the gentle shove/courage/guidance I needed. I started an Instagram, and the rest has rolled on from there. What about the origin of the name, IKIGAI? IKIGAI is a Japanese concept. Roughly translated, it means finding your reason for being. It’s all about balance. When you have found something that you love, something that you are good at, something that the world needs, and something you can make money from; the point where all four things overlap, is IKIGAI. I love how the Japanese can use a single word to describe something a concept or idea. You’ve got two collections available at the moment — Harvest and Winter. Both contain a small range of not entirely usual pieces; pinch bowls and salad spades among them. How do you decide what to make, and why? Sometimes, I will start making a bowl, and five minutes later it’s two bowls stuck together to make a sphere, and then I’ll cut a big hole in it and make it a vase. The intention I start with is rarely the product I end up with. Every piece goes on a weird little journey, with the exception of some of the more popular pieces, like pinchies or spades. Each range is pretty limited, and sometimes I only make one of something, so it is totally unique. 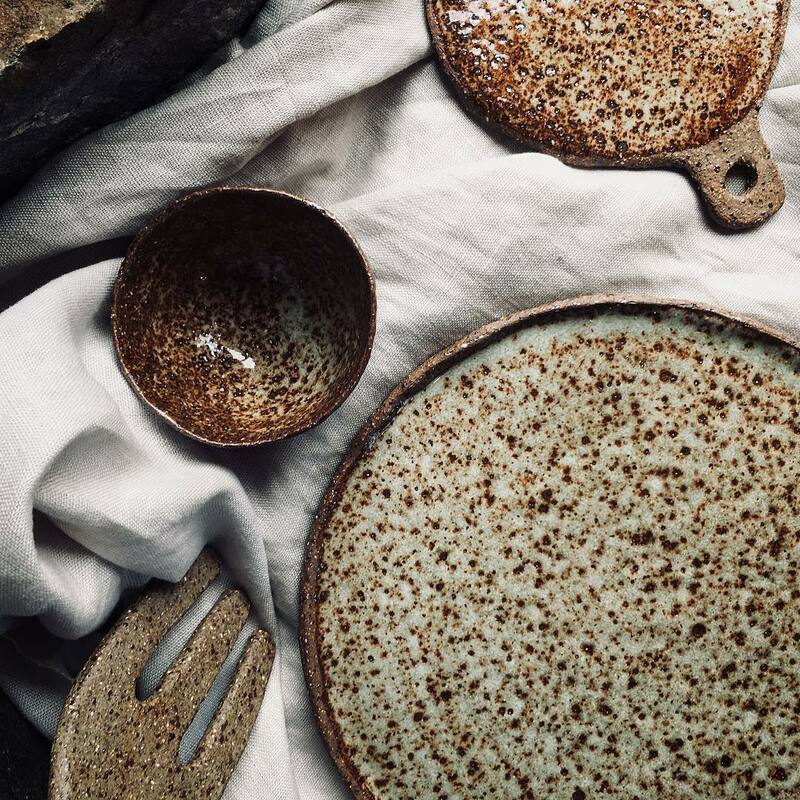 I always name the range after it has been glaze fired; the finished product inspires the name of the range. There are a couple of new ranges coming soon! All of the pieces have an incredible rawness to them. You can tell they’re made by hand, and it’s utterly charming. What is it about that quality that you enjoy as a maker? Well, isn’t that just a lovely thing to say, thank you! I never strive for perfection in my pieces, or in my life for that matter. To me, imperfection is more interesting. It’s honest. In this day and age, so many of the things we consume are mass produced. There is something special about owning a piece that is totally individual with its own little quirks shapes, colours, and textures. I like being able to use my own hands as my tools of trade. 'Noir' (coming soon) Image: Courtesy of IKIGAI/Kate Sheehan, All Rights Reserved. via @ikigai_home / instagram. Can you tell us a bit about your making process — your technique, and if and how it varies from piece-to-piece? Like from plate to spade? I don’t follow a strict design process; I just have fun with it. I work on a concrete table Tim and I made together — it has our dog's paw print in it. I use questionable tools from my kitchen drawer and techniques that would probably make most ceramists cry. I listen to the same CD on repeat, and I drink red wine as much as I can. That’s my process. What inspirations do you draw from when designing? 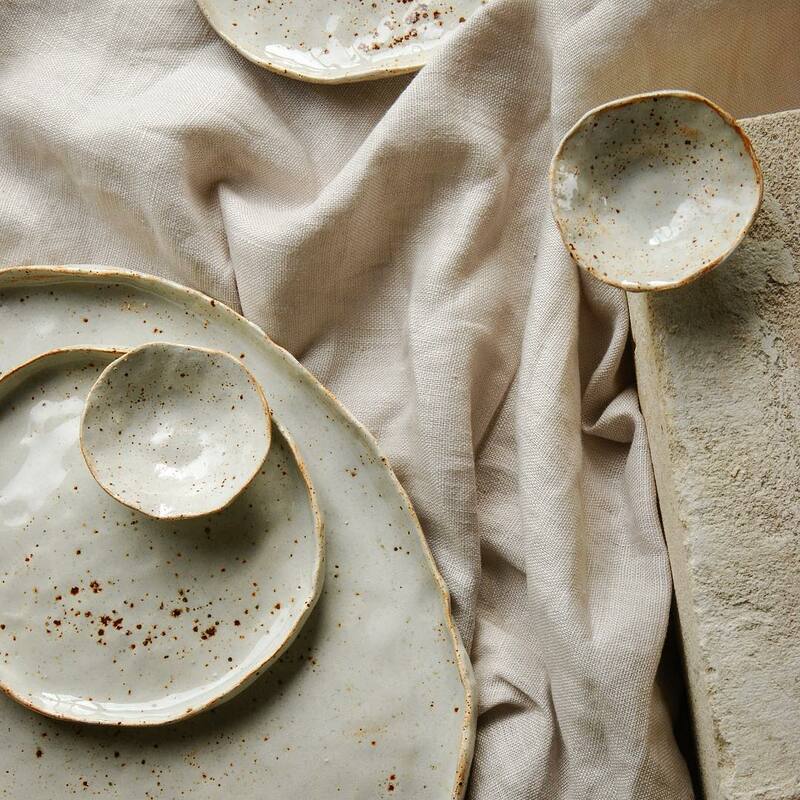 Nature inspires me — earthy colours, textured surfaces, and raw organic forms. I am inspired by non-traditional potters, breaking all the rules and doing cool stuff with clay. Wabi-sabi means to accept and embrace imperfection. This concept influences all the work I make. IKIGAI is based out of Geelong. How do your surroundings influence your work? It sure is, based out of a sunny, leafy studio in my backyard. Where I live, there is a real sense of calm. You can see lots of the sky, and it’s nice and quiet. I have lots of super talented friends who have established amazing small businesses in Geelong. Geelong has a growing culture of supporting local, and it’s really great for small business. Is there one object you most enjoy making? I love making large flatware platters, especially custom orders. Keep your eyes peeled for some fun collabs with other clever G-town cats. 'Harvest'. Image: Courtesy of IKIGAI/Kate Sheehan, All Rights Reserved. via @ikigai_home / instagram. Many thanks to Kate for taking the time to chat with us. You can find more about IKIGAI and shop their wares online, here. You can also keep up with all the latest IKIGAI news on Instagram.